Holy Moly. April(ish) was a big month for me. My highest monthly training volume ever! I had two weeks that were almost at 50 miles. Whew! And I didn't fall apart! Some days I am pretty sure my legs are being held together by rapidly fraying thread, but all in all, I am holding together. I say April(ish) because instead of counting my mileage from the first of the month to the end, I counted five complete Monday - Sunday weeks from March 30th to May 3rd. I hit 188.3 miles for that time period with 20,042 feet of elevation gain. My last run during April(ish) was this past Saturday. I met up with the High Heels Running Group for a run at Cougar Mountain. Showing up to the runs when I don't know anyone there is pretty intimidating for an introvert like me, but a goal of mine is to force myself to meet other trail runners and hopefully make more running friends! My more immediate goal at this particular run was to meet other women running at Sun Mountain in a couple of weeks. When the running group is large I either kind of hang around eavesdropping on conversations and/or find one buddy to chat with. Then if I stick around long enough to keep running after the main run is over I will often find one gal or a small group to hang with and have an easier time chatting. I also met another runner that will be volunteering with me at an aid station for a race at Cougar Mountain this weekend. She is extremely nice and it made me that much more excited to get to help out at the race. 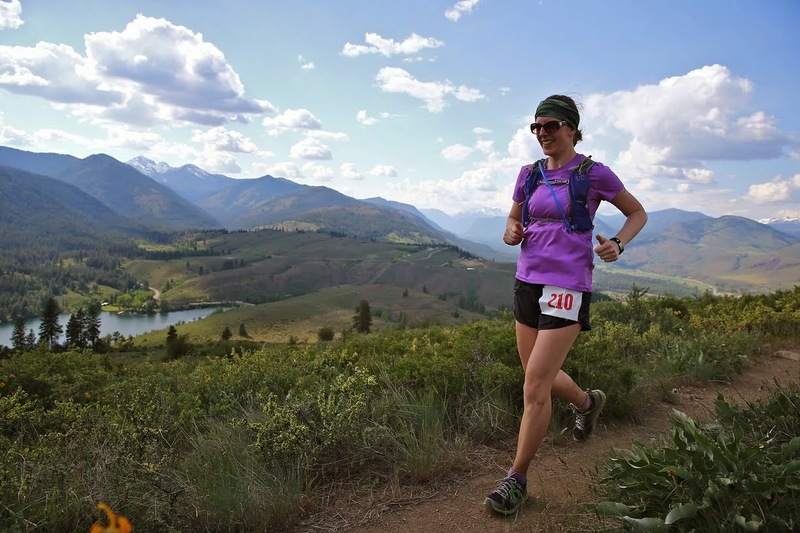 I am excited that I now know a handful of women who are running either the Sun Mountain 50k or 50 miler (yes, miler! She is amazing!). Seeing some familiar faces on the trails will be a lot of fun. The ladies gave me advice to make sure I am taking in enough electrolytes during the race since it should be pretty warm and also a lot of the route is through meadows and other exposed areas. I haven't yet been low on electrolytes during a run (at least, not that I knew of!) and want to make sure I pack some stuff to ensure I am okay with the conditions at Sun Mountain. Probably some salt packets or extra nuun tablets will suffice. Heading in to my second week of taper I am just loving the down time. There have been a lot of stretching/foam rolling/ball rolling/yoga sessions at home and I *think* it's been helping! On my 10 miler I had zero crankiness from any part of my lower extremities, which has become par for the course the past few weeks. Hi there! I run, I run trails..... you're looking for trail running friends - shoot me a message sometime?